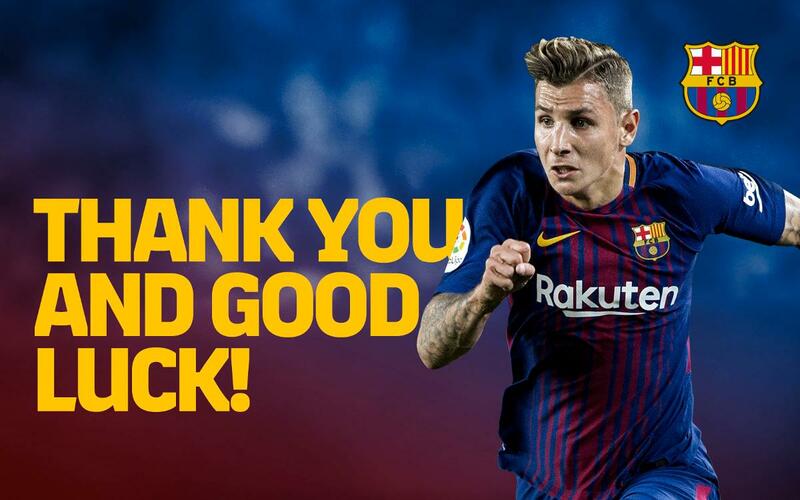 The Club would like to publicly express their gratitude to Lucas Digne for his commitment and dedication and wishes him all the best for the future. During his two seasons with FC Barcelona, the French left back made 45 official appearances for the Club: 29 in the league, seven in the Copa del Rey, seven in the Champions League and 3 in the Spanish Super Cup. Digne scored twice in a Barça shirt, once in the Copa del Rey and once in the Champions League. Furthermore, he claimed four trophies in his time at Barça: two Copas del Rey, a LaLiga title and a Spanish Super Cup.